You eat organic and non-GMO food. You only drink purified water. You take care of yourself and your family's health. But could there be a silent, invisible danger causing potential harm to you and your loved ones? There could. And it's called electromagnetic frequency (EMF) radiation and its one of fastest growing health issues facing our society. 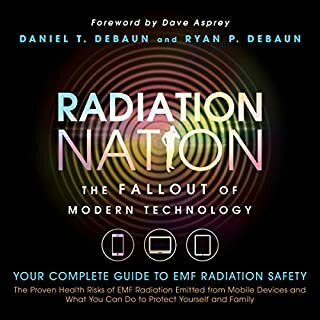 EMF radiation produced by modern technology such as cell phones, tablets, laptops, Wi-Fi, and smart meters is an emerging health threat. 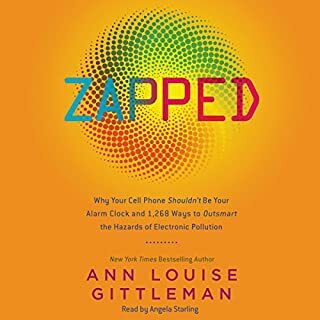 A groundbreaking exposé of the hidden truths of electropollution, Zapped is the first comprehensive, step-by-step guide to counteracting the invisible hazards of everyday electromagnetic exposure. Award-winning author, nutritionist, and First for Women magazine columnist Ann Louise Gittleman combines the best of energy medicine with the latest scientific research in a user-friendly powerhouse designed to safeguard you and your family. 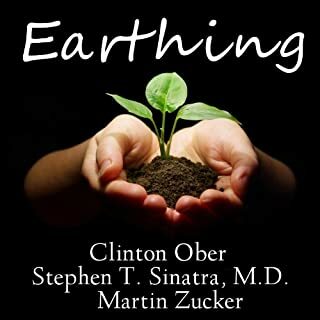 You probably know that food, water, sunlight, and oxygen are required for life, but there is a fifth element of health that is equally vital and often overlooked: The Earth's magnetic field and its corresponding PEMFs (pulsed electromagnetic fields). The two main components of Earth's PEMFs, the Schumann and Geomagnetic frequencies, are so essential that NASA and the Russian space program equip their spacecrafts with devices that replicate these frequencies. These frequencies are absolutely necessary for the human body's circadian rhythms, energy production, and even keeping the body free from pain. But there is a big problem on planet earth right now, rather, a twofold problem, as to why we are no longer getting these life-nurturing energies of the earth. 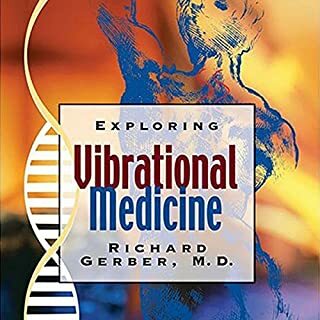 In this book we'll explore the current problem and how the new science of PEMF therapy (a branch of energy medicine), based on modern quantum field theory, is the solution to this problem, with the many benefits. 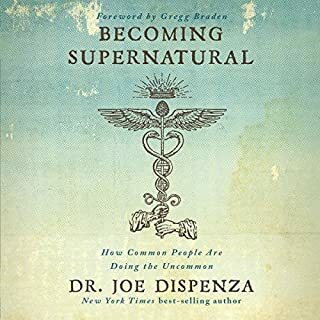 This book deals with applying post-Newtonian science to the world of medicine, presented by an author with a foot in both worlds. It is simple enough for general interest without dumbing it down. In fact, I'll say the explanations offered within are very well executed. There are many takes on this material to be found elsewhere, be it within the realms of quantum physics or the new age community, but the information speaks for itself if you're willing to move past the idea of a clockwork universe and enter the 21st century. While most of the ideas within are practical and immediately executable in daily life, the equipment suggested within is probably out of reach of the average person living on a budget. Based on my own practical experience, the poor man's equivalent can be found in binaural or isochronic frequency technology. Experimentation is encouraged, and results may vary, but I think you'll find at least some improvement in your overall state of mind/body health. It won't be nearly as dramatic as a $6000 PEMF mat, but that's to be expected. Great info, conflicting research beyond the book. The audio is great. The content the same. I especially enjoyed chapter 7. There is conflicting thoughts and speculation on Robert Becker's research into pemf therapy. Many who follow Becker's work are convinced he was ultimately against it because it wasn't tested enough to know long term effects if using it every day. Pulsed frequency is not the same as unidirectional magnetics from the earth. I do need to do some more research into Becker's work before drawing own conclusions, but I do see the value in this book and the potential of this therapy, especially as a short term therapy for people stuck in chronic sickness or those suffering acute inflammation of any kind. Not sold on the long term safety yet. Sincerely, everyone should read this book. I don't write many reviews, but in this case this book was truly enjoyable, incredibly informative and well documented. It will change your life for the better all the while feeling wonderful as you go. So informative I am on my fifth full reading and remains handy as a common reference document. To your health. Great Information and Narrator was awesome! If you could sum up PEMF-The Fifth Element of Health in three words, what would they be? Great Info, lots of research backed info, read extremely well! What was one of the most memorable moments of PEMF-The Fifth Element of Health? Great Info and Loved the recommendations as well. I appreciated the author making recommendations on the products that can help the reader instead of researching. What about Jeff Hoyt’s performance did you like? Just one word - Awesome! I have listened to other narrators and they seem extremely dull and Jeff sounded like he was the writer and just a pleasure to listen to! It was very good info. I have been studying various vibrational healing modalities so this was another one to add to great info! 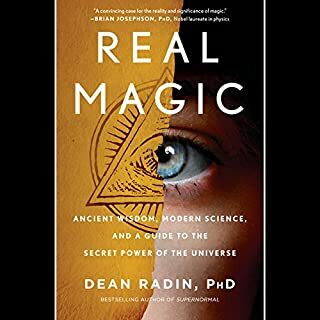 For anyone who is looking to investigate vibrational/frequency based energy healings, this book is fascinating and backed with lots of great research from various resources. I really enjoyed listening to the content while driving back from vacation. Thank you for great content! Be prepared to get your mind blown. Incredible ways to increase your overall health. Highly recommended! Yes iit contains critical health and wellbeing information about fields of energy and the human body. This book is essential reading. Have you listened to any of Jeff Hoyt’s other performances before? How does this one compare? What made the experience of listening to PEMF-The Fifth Element of Health the most enjoyable? The Book was a sales pitch at the end. So much more than I had expected. Amazing. It goes deeper than I thought it would. I loved it , but some people might get lost in the quantum mechanics of it. So glad I listened to this book. Helpful on so many levels, in addition to understanding PEMF. I highly recommend this book to everyone who has a body. Highly recommend this book. It is well written and narrated. The content is very important for everyone to understand. 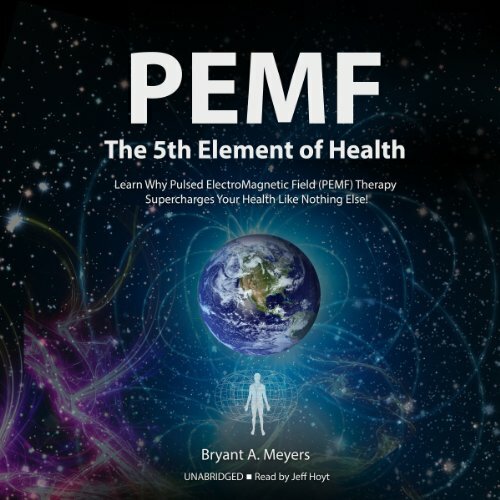 Would you consider the audio edition of PEMF-The Fifth Element of Health to be better than the print version? What could Bryant A. Meyers have done to make this a more enjoyable book for you? Ease up on the sales pitch. Less repetition regarding how much he, himself has invested in this product. What does Jeff Hoyt bring to the story that you wouldn’t experience if you had only read the book? Gave up after a couple of hours of listening to this non-sensical mumbo jumbo and pseudo science. Such an incredibly boring, monotonous sounding narrator. Returned the audio book for a refund.